One of the most significant changes that occur in high altitude areas concerning cooking is the boiling point of water. As the altitude increases, the atmospheric pressure pushing down on water decreases, which allows the water to boil at lower temperatures. 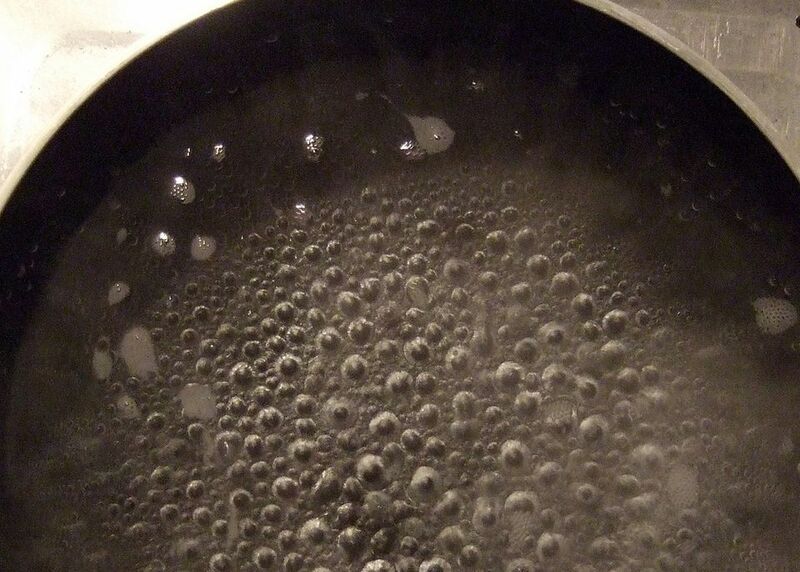 A lower boiling point means that food cooks at a lower temperature, despite the fact that the water is boiling. It is important to recognize just how much the temperature of boiling water is reduced as the altitude increases. With nearly one-third of U.S. households residing in high altitude locations, this simple piece of science can greatly affect your cooking. Check your altitude against this chart to see if you are cooking at lower temperatures than expected. Temperatures have been rounded to the half degree. It is easier than ever to find your altitude online or with your cell phone. You can simply ask your voice assistant, "What's my altitude?" and get a quick answer. If you are using a desktop computer, you can do a web search of your location for the altitude. If you have a GPS, it will also tell you your altitude. If you only had to worry about how boiling water is affected by altitude, cooking wouldn't be as much of a problem. Your pot of water will come to a boil sooner as it will boil at a lower temperature than at sea level. You would boil your food longer because it is boiling at a lower temperature. This means it takes pasta and rice longer to get done, and you may need to add more water to the pot as it boils off before they are the right consistency. But boiling isn't the only thing you need to pay attention to. Each method of cooking, type of ingredients, and a combination of ingredients may require different tweaks to compensate for high altitude. As you can see in the chart, there is no one high altitude solution. For example, if you use a bread machine, you will need to adjust bread machine recipes for high altitude.